The way they accomplish this is with their "9-point Face Technology." Let me explain. (Please turn in your text books to chapter 5.) The 9-point face technology is a rhombus insert surrounded by a titanium perimeter. The titanium perimeter is even thinner then the milled rhombus face insert. 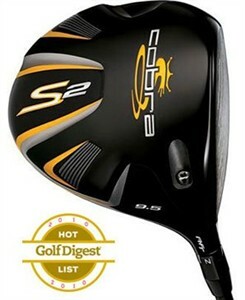 This gives the driver increased ball speeds over the entire face of the driver. The best thing about the driver is the adjustable hosel. You can adjust it to three different face angles: open, neutral, and closed. Thus, set it closed to fix that slice. As you get better, set it back to neutral and let your swing dictate the ball flight. I like this club for the high handicappers. TaylorMade makes an adjustable driver, the TaylorMade R9 Supertri Driver, that I like even more. It gives you a lot more variance (up to 75 yards). However, the driver is a bit more pricey.